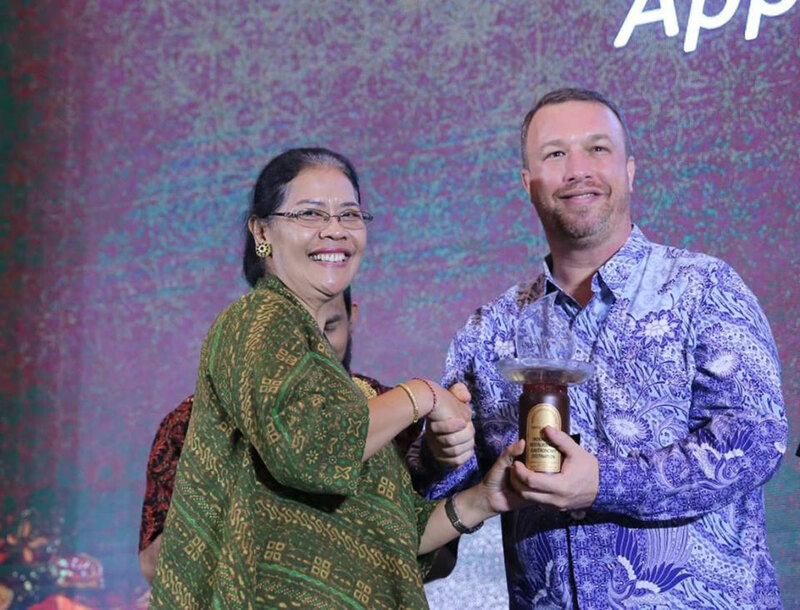 On Friday November 23rd seven restaurants in Indonesia were given the “Restaurant Local Appreciation” award delivered by the Indonesian Minister of Tourism himself, Mr. Arief Yahya. Amongst the seven restaurants were Locavore, Room 4 Dessert, Blanco Par Mandif, Sarong, Nusa Gastronomy, Amuz and Mozaic restaurant Gastronomique. “We are proud to promote the culinary wealth of Indonesia to all visitors of Bali. The more of us there are the stronger Bali and Indonesia will be as a world gastronomic destination. I thank all of my fellow chefs for coming to receive the award themselves. It shows a great solidarity amongst chefs in Indonesia.” Proudly announces Chris Salans, Chef Owner of Mozaic Bali.